Please your customers, keep the line moving! Brand owners want to offer their customers the latest in effective convenience packaging. If your product is in pouches, it’s likely you’re investigating the newest reclosable features. But you may wonder: how will incorporating a zipper, spout or other feature affect my overall line speed and efficiency? First, it’s not hard to understand the appeal of reclosable features for standup pouches — everyone wants convenience! Families and consumers of all ages can benefit from reclosables. Easy-open packages for the elderly, portion control for adults (especially important in the snack and confectionery markets), and even child-resistant zipper features for families with young children, mean there is a steadily growing range of package offerings incorporating these features. Millennials represent about a fourth of the entire U.S. population, with $200 billion in annual buying power. A full quarter are now parents, and many also have aging parents of their own. This makes the Millennial cohort a sweet spot for packaging convenience trends. They want the best for their families: parents, children, and even their pets. Thriving markets for reclosable pouches include dairy products, confectionery, wet and semi-wet pet foods, pharmaceuticals and nutraceuticals. Pouches with reclosability are even being tested in the breakfast cereal market. 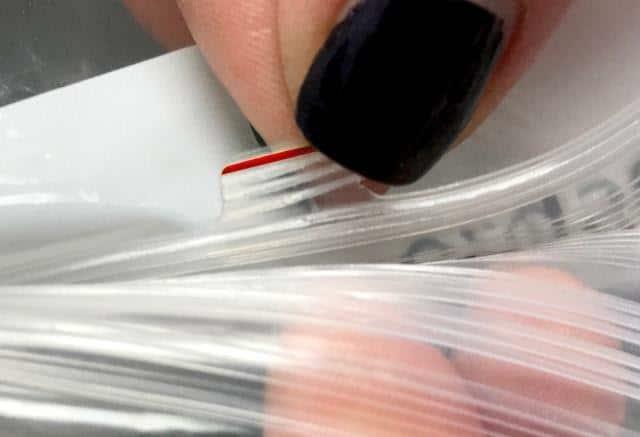 Zippers: Zipper closures for pouches and other film bags are arguably the most significant advancement in convenience packaging in the last 20 years. They can be applied to most forms of flexible packaging, using machinery ranging from form/fill/seal technology to flow wrappers, and oriented vertically or horizontally. And there isn’t just one kind of zipper closure—not anymore. Single-track zippers of various designs, slider zippers, and options with specialized zipper tracks that prevent clogging or leaking, have all found their marketing niches. New zipper designs are still hitting the market. At the recent PACK EXPO Las Vegas, Zip-Pak introduced a child-resistant resealable feature for the flexible packaging industry. The design recently obtained Conformity of Packaging according to both US 16 CFR 1700.20 and ISO 8317 standards from IVM-childsafe--making it an accredited child-resistant resealable solution throughout the U.S. and Europe. Tab-Lok™ offers a press-to-close solution that streamlines the opening process. The key differentiator is the tab mechanism used to open and access the package contents. The zipper profile features a small tab that the consumer utilizes to open the zipper during first and subsequent uses of the package. Although the tabbed profile provides deterrence for younger children, it is said to provide easy accessibility for older consumers, who are often challenged by child-resistant packaging. Reclosable tape: Reclosable double-sided strips, wraps and seals applied to the slit film can be applied a number of ways, and offer many of the same freshness and convenience advantages as zippers and Velcro. In addition, the tape can carry a printed marketing message. Production speed and efficiency of the production line is not compromised. A tape applicator requires a low investment, can easily be added to the existing line, and requires almost no maintenance. VELCRO: VELCRO® products for flexible packages, including the PRESS-LOK closure, are both “touch” and “press” activated, so the consumer can secure a package with reliability and be sure it’s always closed. Both tactile and audible signals help consumers to have that reassurance. Velcro closures are making inroads into bags of dog food, bird seed, detergents, seeds and fertilizer, and other granular products. The Velcro name also offers a co-branding advantage. Will adding the reclose feature slow down your line? Will the reclosable feature affect sealing time? Can the feature be seamlessly retrofitted into the line, or will it require all-new equipment? How can you best compare the advantages of VFFS vs. premade? What are the cost advantages? Would it be better/cheaper to use pre-made bags? How can a partner/integrator help you decide? the closure must keep pests out of the bag, and eliminate spills. It’s also important to have a working knowledge of consumer behavior and preferences as it relates to resealable features. This will help with the design and implementation of an entire resealable strategy. Where do consumers prefer zippers to be placed? How are decisions made in stores? What do shoppers value in terms of convenience? If you’re not sure, conduct the appropriate consumer research, or find a supplier who has this knowledge. Second, the incorporation of the reclosable feature into your VFFS line must be analyzed. Here is where a partner is of real benefit in weighing the options. Your partner can be either a systems integrator familiar with f/f/s lines, the original packaging machinery manufacturer, or both. Introducing zipper technology into an existing line usually represents very little in terms of new principles of operation that operators have to learn, according to supplier Zip-Pak. Packaging operations deal primarily with pressure and heat, all automated and incorporated in-line for maximum efficiency. Zipper technology fits into those basic operating parameters without slowing operation or requiring significant additional skills. However, there are plenty of caveats. For example, web direction zippers require a cutter, while cross web applications utilize pre-cut zippers. Slider zipper technology requires slightly more equipment to accommodate its more complex design, but the difference in set-up and operation is minimal according to Zip-Pak. Some zipper technologies do utilize ultrasonic welding in the application and finishing of zippers; this does require more extensive training, but not prohibitively so. The proper integrator/partner can help you sort through the options. According to Zip-Pak, retrofitting zipper closures into an existing vertical form/fill/seal line may be easier than you think. Machines 30 years old or older can have zipper systems applied. As long as a machine can hold a register somewhat accurately, a zipper system can be applied. In working with any kind of retrofit, again, the right partner/integrator can help identify issues long before the installation process actually begins. For example, some older VFFW machines have a jaw carriage that is not designed to carry the third seal. However, working with machine manufacturers, Zip-Pak can often create a customized solution that can work around this type of issue. Velcro closures are applicable as both adhesive-backed products and heat-sealable options, so that line automation is never compromised. Velcro is said to be ideally suited for existing packaging equipment as a retrofit. In the past, zipper and other resealable technologies were used for smaller-run “boutique” products. Today, they’ve hit the mainstream. With the right partnership, retrofitting an existing flexible packaging system can be an economical up-front investment, with long-term gains extending into the future. With an integration partner, time and money are saved before, during, and after the retrofit, thus creating more effective packaging that arrives more quickly on the market. And that’s good for your overall marketing efforts. CPG companies serve many masters. They've got to deliver contemporary packaging solutions like standup pouches to satisfy consumer expectations, yet run efficiently to deliver value to shareholders despite intensifying margin pressures. Recloseable options often support the first and challenge the second - but that doesn't have to be. Many recloseable options can be integrated (many even retrofitted) into VFFS packaaging lines. This is the sort of holistic approach that we cover in our Guide to Shelf Ready Packaging which is available for free download here.